Life is short. There's lots of anime to watch. Why not do it all at once like Twitter user Miz_hi? Or actually, you can watch one show, if you like. This fall, there has been more anime to watch. Know what that calls for? 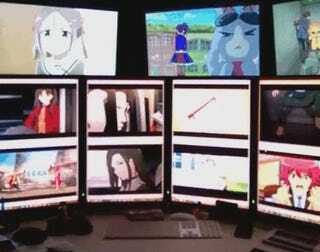 More monitors.